Metric gauge plate (also known as ground flat stock) is made from 01 grade tool steel. Supplied in 500mm lengths, 1 metre lengths on request. please see below for more indepth information. 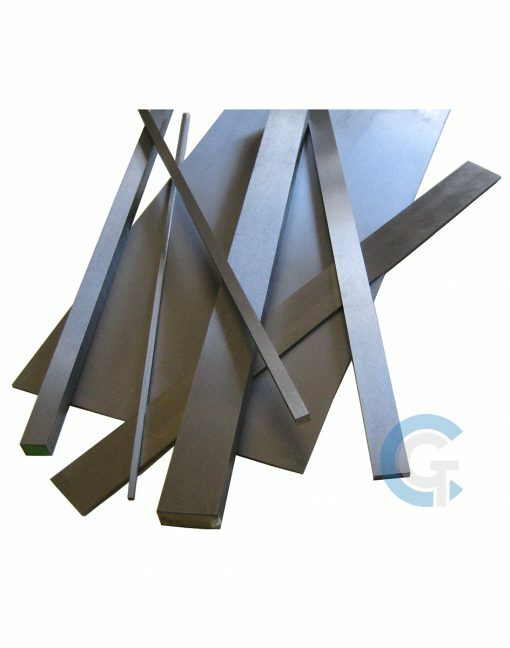 Gauge plate (also known as ground flat stock) is a high quality tool steel supplied in its annealed condition. Precision ground to size on both width and thickness dimensions to a close tolerance. Ground flat stock is capable of reaching very high hardness levels with minimal movement. This gives the product great versatility to a whole range of engineering applications. Gauge plate is made from 01 grade tool steel that is supplied in an annealed condition. This means the material is soft enough to machine easily and the ability to be hard wearing. Gauge plate can also be hardened to a maximum of 62 degrees Rockwell C.